TOKYO (AP) — Japanese fisheries officials said Thursday they will revise one of the country’s two main research whaling programs after an international organization said selling meat from killed sei whales violates a convention protecting endangered species, in a possible setback for Japan’s ambition to resume commercial whaling. The standing committee of the Convention on International Trade in Endangered Species of Wild Fauna and Flora, or CITES, said this week that Japan’s use of sei whale meat from its Northern Pacific research program for commercial purposes violates the convention. CITES bans commercial trade of endangered species, including sei whales — one of the largest whales which grows to about 15 meters (50 feet) in length and weighs about 20 tons. A Fisheries Agency official said Thursday that the CITES decision is not binding, but Japan will work out a revision and submit it to CITES by Feb. 1. A revision could mean a major change to Japan’s research whaling in the Northern Pacific, including a possible halt to commercial sales of sei whale meat. Japan has killed up to 100 sei whales annually since 2000. Under Japan’s Northern Pacific research whaling program for 2017-2028, allowed by the International Whaling Commission, it plans to catch up to 134 sei whales annually. The CITES decision does not affect Japan’s other major research program in the Antarctic, where it hunts minke whales — up to 333 each year. 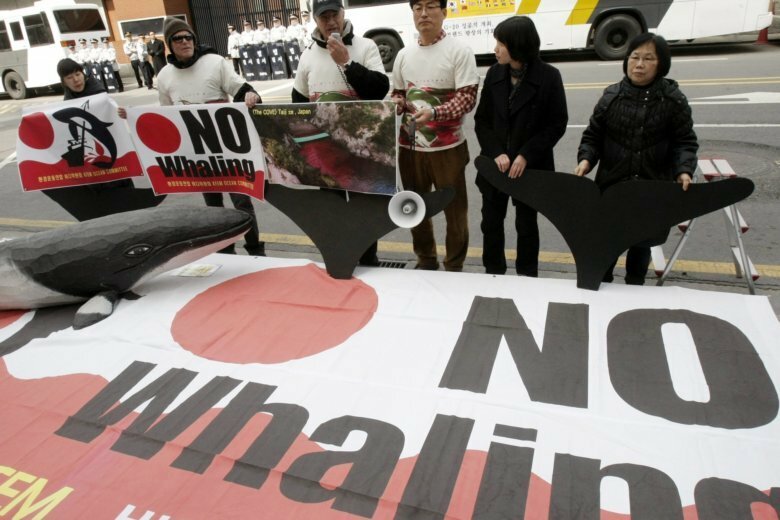 Japan had to scale down its Antarctic whaling after a 2014 International Court of Justice ruling that its research whaling wasn’t scientific enough. Commercial whaling was suspended by the IWC in the mid-1980s because of dwindling stocks. Japan has since switched to what it calls research whaling, which is allowed by the IWC as an exception, and says stocks have recovered enough that commercial hunts should resume. Its proposal to do so, however, was defeated at an IWC meeting in Brazil on Sept. 14. Japan has hunted whales for centuries, but has reduced its catch in recent years amid international protests and declining demand for whale meat at home. Still, Japan annually consumes about 5,000 tons of whale meat from its research hunts, officials said.